For those of you not keeping tabs on Japan’s space agency, they recently released the first ever photos and videos captured by the Int-Ball drone. 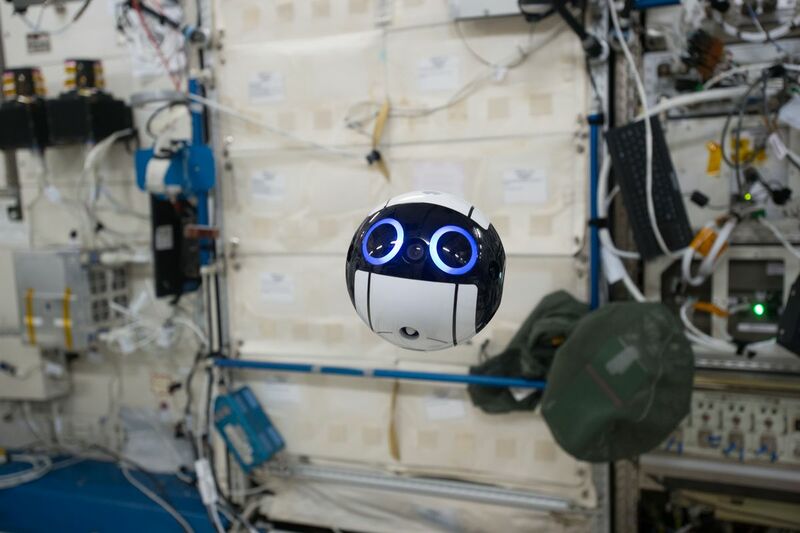 Flight controllers and researchers on land are able to peruse footage taken by the Int-Ball in real time and then also share it with the crew onboard according to Japan Aerospace Exploration Agency (JAXA). The JAXA Tsukuba Space Center is responsible for controlling the drone on the ground, which is essentially a small, 3D-printed flying orb. Thanks to the latest drone technology, the Int-Ball is capable of moving anywhere at any time through autonomous flight and can record images from any angle. The Int-Ball, which was delivered to the International Space Station in June, weighs 2.2 lbs, has a diameter of 15cm, and 12 propellers. JAXA hopes the floating drone will eventually be tasked with checking supplies aiding in onboard problems.